Selenite is a crystal whose appearance appropriately indicates the energetic potential contained within its lattice structure. 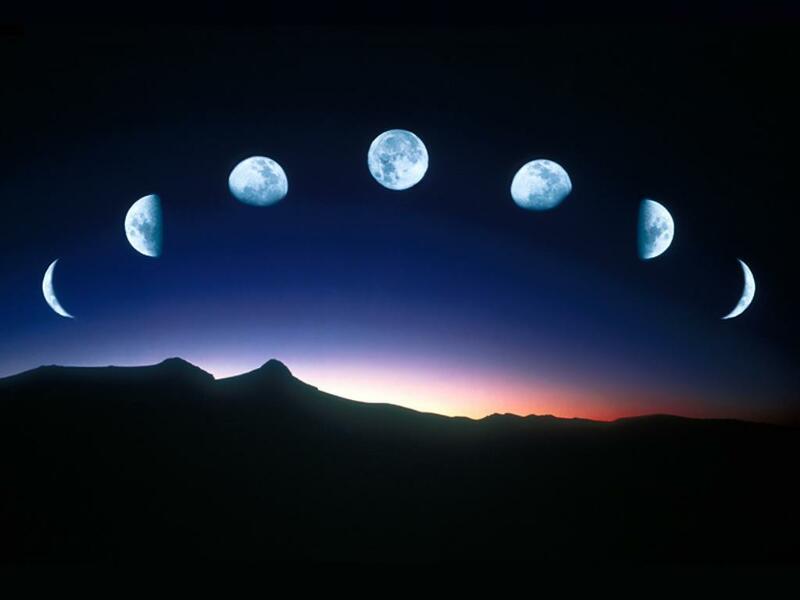 This crystal, named after the Greek moon goddess Selene is known for its ability to harness the soft, feminine power of the moon. Known for its white, transparent color, the glassy sheen of selenite is most reminiscent of a moonbeam stored in crystal form. Selenite is an evaporative mineral, meaning it forms as an aqueous solution evaporates, allowing the minerals dispersed in the liquid to concentrate and accumulate. For this reason selenite is commonly found in alkaline lake muds, clay beds, evaporated seas, salt flats, and caves. Selenite grows best in undisturbed areas, and large deposits have been accessed throughout the world. 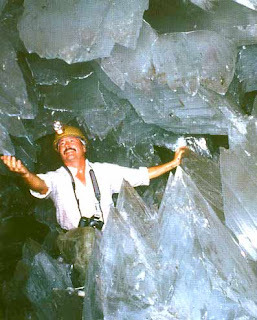 Caves containing enormous deposits of selenite have been discovered on every continent, the largest of which is called the Cave of Giants or the Cave of Crystals located in Mexico. 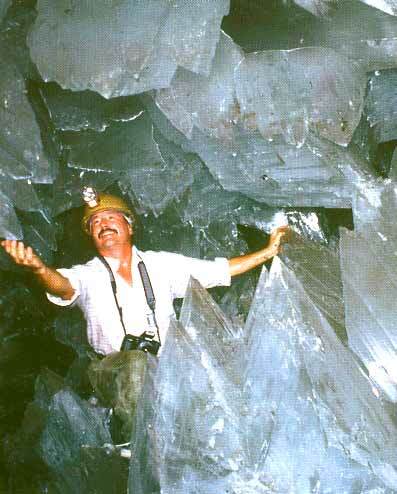 The largest selenite crystal found in this area is 12 meters in length and 4 meters in diameter. Due to its abundance, selenite is mined and distributed in large amounts, making it an inexpensive addition to one’s crystal collection. Selenite is associated with lunar, aquatic, and feminine energies. This crystal draws its power directly from the moon. Placing selenite in moonlight will effectively charge it with harmonizing energy which then can be transferred to other crystals or gems by placing them close to or on top of the charged selenite. Once charged, selenite is said to vibrate at a higher frequency, making it the perfect stone for metaphysical healing and giving it an association with the crown and third eye chakras. Avoid cleansing selenite in water as it will flake. Formed in liquid, this stone represents the dynamic fluidity of water, serving as a universal harmonizer by lending its soft fluid support wherever the etheric body is weakest. All women, as well as men who are willing to embrace femininity, will be graced with selenite’s favor. 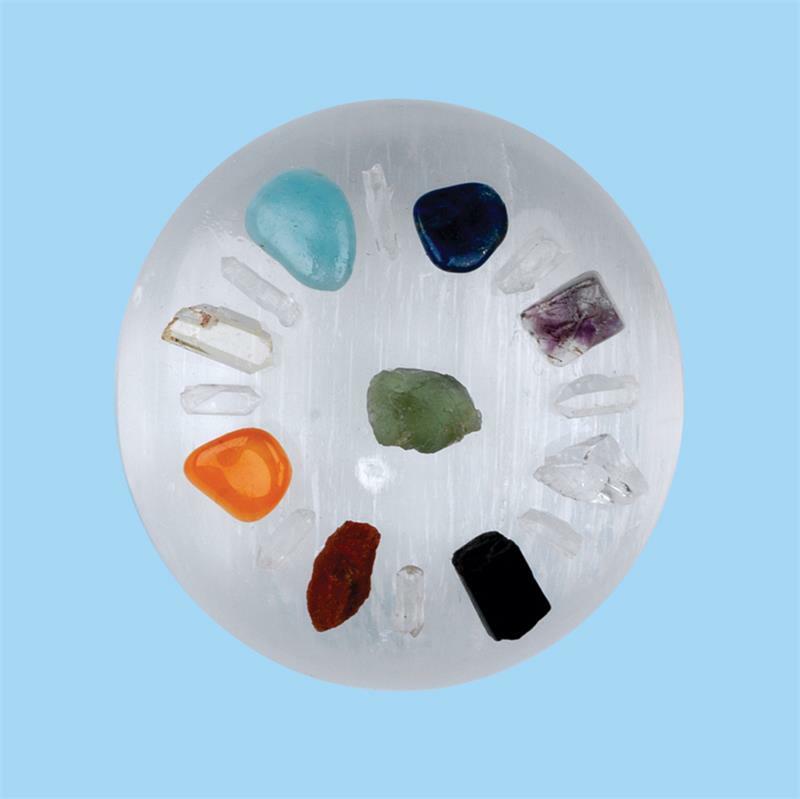 The lunar power stored in this crystal helps balance hormones and regulate biological cycles. This stone is recommended for support during times associated with physical transformation, as during the onset of puberty, menarche, pregnancy, or menopause. Selenite emits the pure energy of the moon, effectively serving as an energetic cleanser. 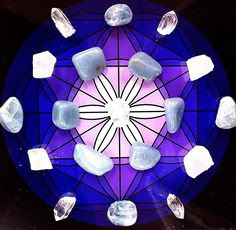 It is said that after being charged in the light of the full moon, selenite reflects more brightly and becomes prone to lending angelic support and protection to those who care for it. Selenite is the perfect crystal to enhance a living space or office as it lends its harmonizing energy throughout an area, working to energize and stimulate any individual within its sphere of influence. At The Om Shoppe & Spa, we carry selenite products in a variety of shapes and sizes. Selenite towers are the perfect addition to a crystal grid and selenite palm stones or hearts can be kept in the pocket for support wherever you go. Try wearing one of our Seeds of Light pendants which combine selenite with other crystals for synergistic benefits. Our selenite lamps illuminate rooms with multidimensional light, working to create sacred space. Try a selenite massage wand to penetrate the body and access deep tension. Stop by to introduce some harmony into your life!